Decided to have black and white “why fishes” for Day 2. While I was doodling my fishes yesterday, I have enjoyed some of my short conversations with the public ppl. I turned to the little boy & asked him “How many?”. He counted & said “7”. I replied “Hmm..no..no..You wanna try again?” Then he got it & said “There are 8 fishes”. This time his daddy asked him “Where got 8?” The little boy walked closer to my artwork & pointed the fish on top of my artwork to his daddy, “See daddy..that’s a fish which only shown the tongue.” Ha..Ha.. 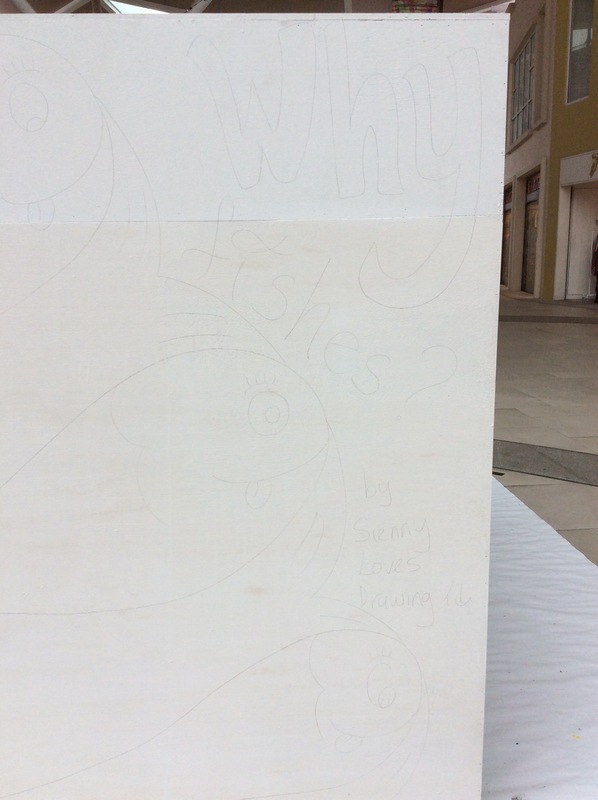 While I bold the “Why” wording, a lady stood behind me then asked “Why?” I gave her a smile. I should have asked her to read my blog so that she knows “Why?” Ha..Ha.. There were lots of public ppl stopped by & snapped photos in front of my Day 1 artwork named “Doodle”. Another tiring day, but I felt satisfied & happy. 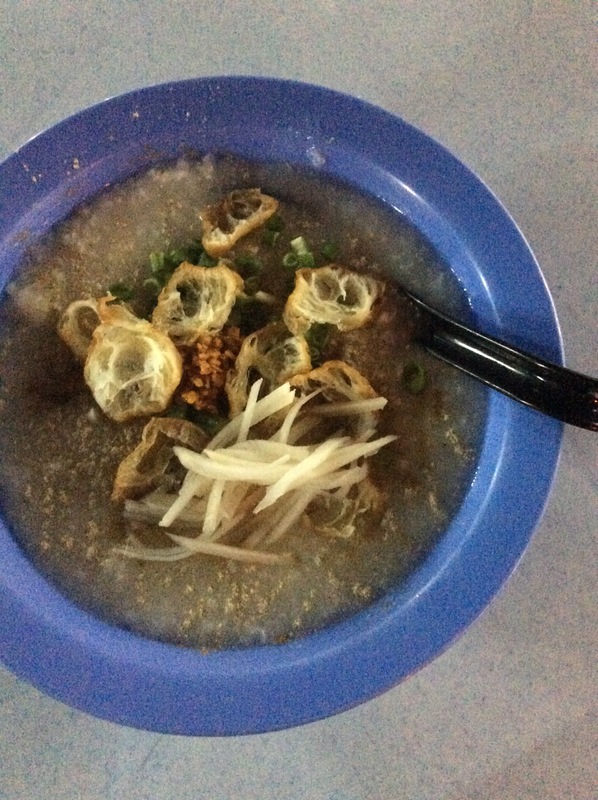 Enjoyed a tasty dinner ~ a bowl of white porridge with an egg stilled together with some pepper, char kueh & ginger ~ prepared by a friendly Singaporean lady stall owner. Hmm..black & white…or colorful fishes? ?